The famous bowl table is now available as a wall-mounted shelf. Just like the table, the shelf combines Indian turning traditions with minimalist, Scandinavian design. 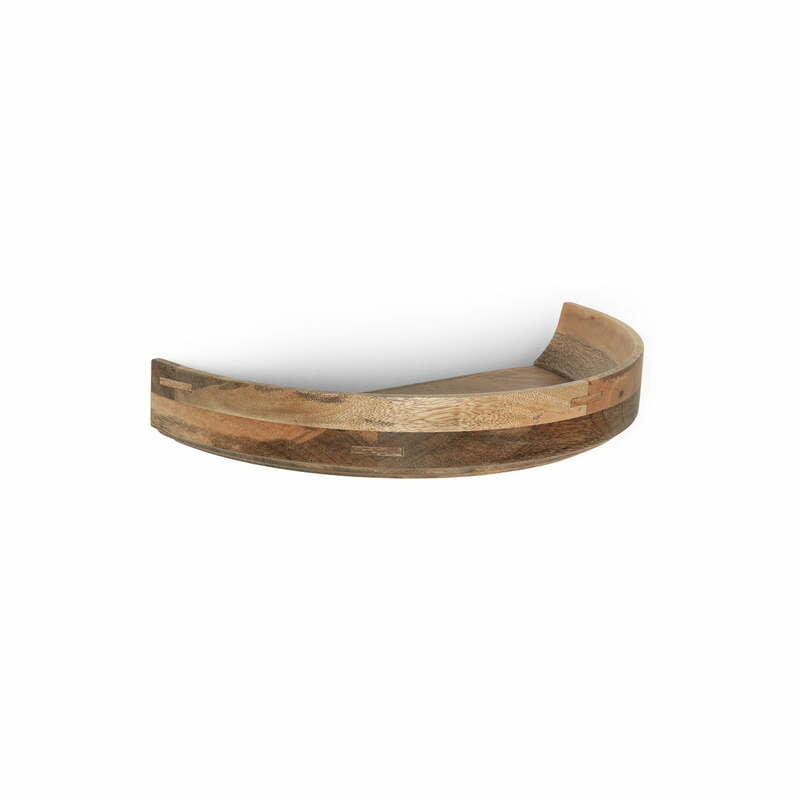 The bowl is made from mango wood shaped by the Kharadi, an old community of Indian turners. The Indian designer Ayush Kasliwal always focuses on producing designs in a fair and environmentally-friendly way. Mounted on the corridor wall as a practical storage space for keys and wallets or as alternative nightstand in the bedroom, the Bowl Wall Edition is a unique and generous storage solution in any home. A tapered steel stabiliser is supplied if the bowl is to be used for heavier items. Available with various lacquer finishes and in different sizes, the perfect model can be found for every furnishing style and use. The surface should be wiped down with a damp, lint-free cloth only. The wall-mounted shelf shouldn’t be treated with soap or any other cleaning agents. Isolated product image of the Bowl Wall Edition by Mater: The Indian designer Ayush Kasliwal always focuses on producing designs in a fair and environmentally-friendly way.